Windows play a major role in your home or office. Not only will clean windows make your home appear cleaner, but will also enhance your views over your courtyard, garden, or other beautiful scenery. We have worked on virtually every type of windows, including high rise windows and have the necessary skills and expertise to get the job done right first time. If you have been searching for the best window cleaners Durban wide, we are the most reliable and trustworthy cleaners around. Simply get in touch with our experts for professional cleaning. Do you own or manage an office block in Durban? Don’t let the windows be a destination for dirt, dust, and smoke from vehicles when you can hire affordable cleaners who will give them a thorough washing on a daily or weekly basis. Clean windows will always leave your employees happy since they enhance the views and our external window cleaning experts are dedicated to achieve this purpose. We offer a full guarantee on our workmanship and pride ourselves in being the leading window cleaning Durban experts. Whether you need us to clean skylights of hard to reach windows, we’ve got modern equipment that allows us to reach high floors and clean the windows thoroughly. 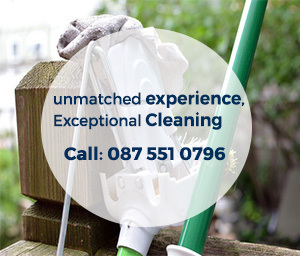 All our members have undergone thorough training to familiarise with all the aspects a window cleaner Durban professional will face, hence you can be sure of nothing short of exceptional cleaning. We’re full insured and all our team members have undergone security checks hence you don’t have to worry about leaving us to work at your home or office by ourselves. If you operate a business and would like the display windows to be as clear as possible, you only need to give us a call and we’ll come with all the tools and cleaning products to get it right first time. Don’t let smudges, dirt, and dust get between your business and customers when the leaders at ensuring clean windows Durban wide are available and at an affordable cost. Call us today for a one-off or regular window cleaning and we won’t disappoint!